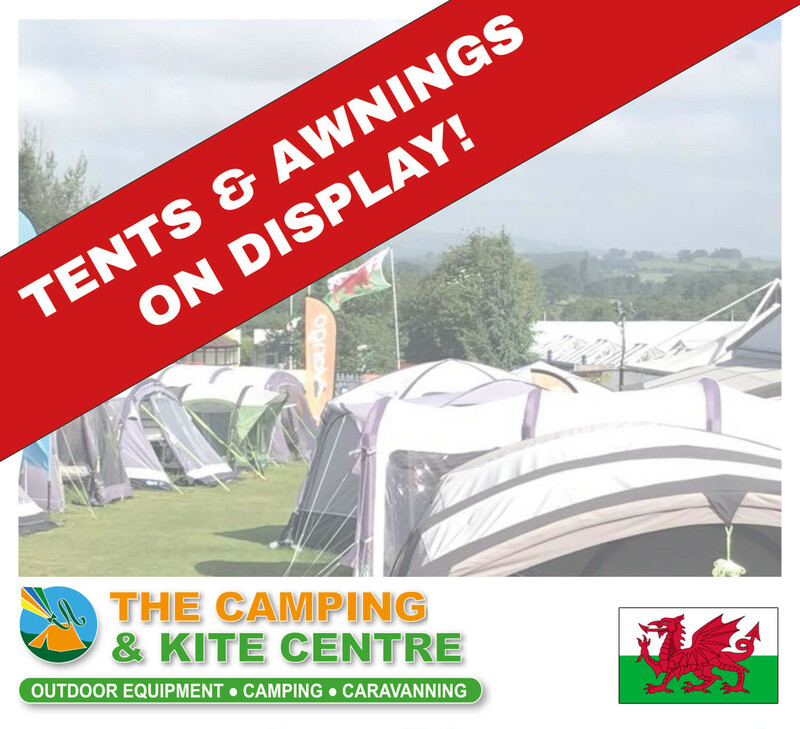 Home / News / Tent & Awning Display Now Open! 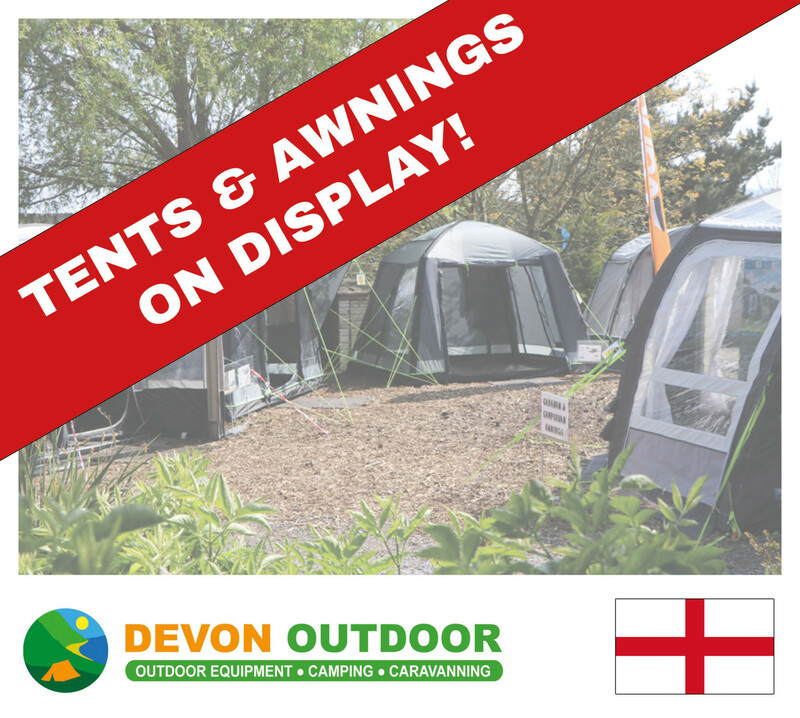 We’re working hard putting the finishing touches to our massive tent & awning displays here at Devon Outdoor and The Camping and Kite Centre. Come and field test our selection of branded tents, caravan and driveway awnings. We erect a wide range of styles, types and sizes, so that you can walk around and make the correct choice. As a family business, we have first hand experience of our stock. This enables us to offer friendly and helpful service and advice. As well as our outdoor displays, we can regularly be found at local camping shows and exhibition. Our next camping show will be in Cardiff on 18th – 19th May, then we’ll be at the Caravan and Motorhome Show in Chepstow 5-7th July, and Caravan and Motorhome Show in Exeter 26-28th July. Find us on Facebook to look out for more details! Hassle free pump up, we erect our inflatable tents & awnings at the beginning of the season and they remain in place through all weather conditions. Come and see brands such as Vango AirBeam and Kampa AIR, Outwell, Outdoor Revolution, and Coleman. But it’s not all about air! We continue to see a good range of poled products at prices to suit all pockets so take a wander around our selection of pole tents and awnings, and make an informed decision. As a family business, we have been camping in a variety of tents with families of all ages. We can advise on what is best for you. Make sure you plan a visit to see us soon. There’s free parking at both our stores plus a restaurant on site too so well worth making the trip! From great brands including Kampa, Vango, Outwell, Outdoor Revolution, Coleman, Sunncamp and many more. We hope you’ll choose us to get your adventure on the road! Previous post: Why camp when you can glamp?